Love like pop - ZineWiki - the history and culture of zines, independent media and the small press. 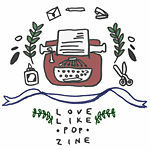 Love Like Pop' is a perzine by Rachael, from Perth, Australia. First published in 2001, the contents include musings on art & culture, feminism, librarianship, being Australian & Chinese, with a cut and paste layout. Love Like Pop #3 was featured in the book 'Intimate Ephemera: Reading Young Lives in Australian Zine Culture' by Anna Poletti. Number 10, which was released in 2013, also had the honour of being Sticky Institute's 10 000th stocked zine. This page was last modified on 9 April 2016, at 02:12.